Published: April 07, 2019 15:05 Usman Ghafoor, Special to tabloid! 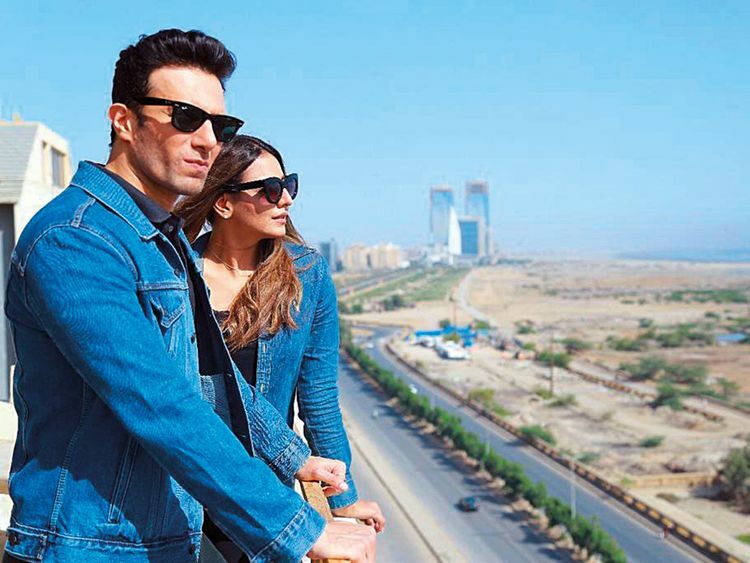 A lot of Pakistan TV and film directors are getting into the territory of web content — Wajahat Rauf led the pack with ‘Enaaya’ which he made for Eros Now, and currently Mehreen Jabbar is filming ‘Aik Jhooti Love Story’ for Zee5. The latest news is that upcoming director Farhan Tajammul is wrapping up work on what he calls an “action thriller” titled ‘Mind Games’, which is believed to be a Netflix production. The director hasn’t confirmed nor denied the collaboration with the international streaming giant. We aren’t sure if the inspiration for the series came from the success of the much acclaimed Indian production, ‘Sacred Games’, a gritty crime thriller which recently entered its second season. But the central theme of ‘Mind Games’ is money laundering and how fashion models are also involved in the crime. As such, the series is loosely based on the real-life story of supermodel Ayan Ali Ayyan who was caught (allegedly) trying to smuggle over $500,000 (Dh1.83 million) in cash to the UAE from the Benazir Bhutto International Airport in Islamabad. Kinza Razzak (last seen in the titular Dilara) and model turned actor Emmad Irfani form part of the lead cast of the series. The supporting cast includes Shamoon Abbasi and Sana Fakhar.